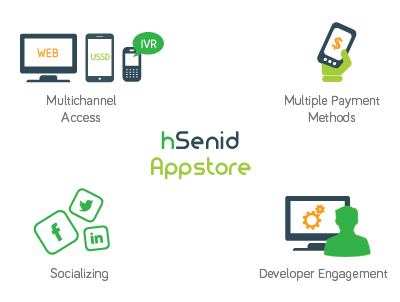 hSenid App Store is a complete marketing and sales tool specialized for Telcos to provide an overall environment for any customer to easily browse and subscribe for their preferred Telco app facilitating payments or subscriptions to be made by mobile accounts. hSenid App Store is a complete marketing and sales tool specialized for Telcos to provide an overall environment for any customer to easily browse and subscribe for their preferred Telco app. The viewers can select apps and subscribe for it immediately via the hSenid App Store. The real-time subscribing is a win-win situation for the User and the Developer since subscribing process is simple and fast that will result in more users subscribing for the app via hSenid App Store.